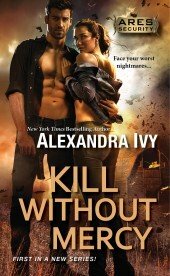 Kill Without Mercy is the 1st book in the ARES Security Series by Alexandra Ivy!! 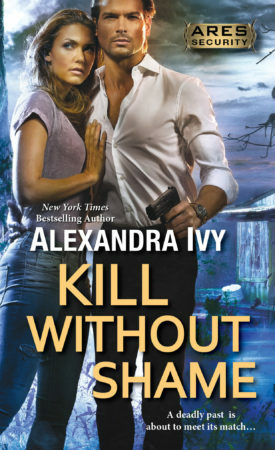 This is an exciting new romantic suspense series from Alexandra Ivy. This series is about the five men that were in the Taliban prison. Rafe, Lucas, Max, Hauk and Teagan. Together they formed ARES Security in Houston, Texas. 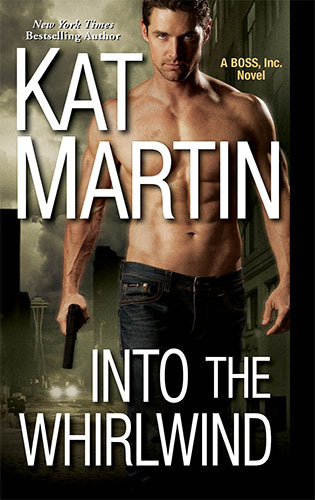 This book is Rafe's story. Rafe is a big tough guy that has savior tendancies. So when he sees a damsel in distress, he jumps at the chance to help her. But Annie White doesn't want help. Only after he chases her down and finds out that she's been having visions, does she start to accept his help. She accepts his help because he believes her. No one has ever believed her. Not when she was little and certainly not now. But Annie has been having visions of women being kidnapped, tortured and killed. And this time she has to make them stop. She has to stop the killer. So she has come back to Newton to figure things out. 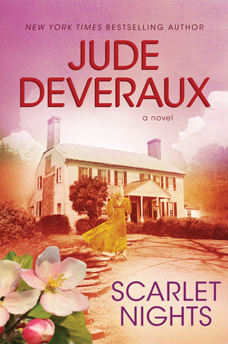 Rafe has come to Newton to clean out his estranged grandfather's house and put it on the market. But when he sees that Annie is in need of a friend that understands, he is more than willing to help her. Annie believed that her father was the Newton Slayer but since she has been having visions again she doesn't know what to think. When Rafe finds out who she is and what she needs to do, he jumps in to help her. As they start looking for new clues, they find things that turn her world upside down. And they end up needing his friends' help. And as they investigate, they draw closer together. There isn't a lot of romance, Rage just seems to think that she'll be apart of his life from then on. Definitely a love-at-first-sight feel. The language Rafe uses towards her is not a matter of "if" but a matter of "when". What they find is just as disturbing as it is sad. Sorry, have to give some of the ending. When Annie finds out that her father had changed her name and he lied about her mother and brother, she is completely thrown. When she finds her brother, well where he was supposed to be, she is even more astonished. One good thing that came out of it, was finding out that her father was not the Newton Slayer. He was the warm, caring father that she remembered. When she finds out what happened to her brother and how he became the Newton Slayer, she is mortified and amazed. 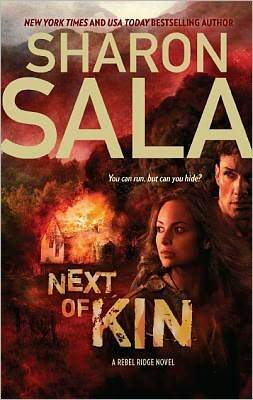 After her brother kidnaps her, she is able to see that her brother is horribly ill and doesn't know any better. The abuse he endured as a child at the hand of their mother was atrocious. Okay the plot line has a few twists and turn that you don't expect, so I'll not add those so you'll be surprised. But the storyline was interesting and captivating. It keeps you reading until you're finished. And then makes you want to find and read book 2 as well. I'm excited for this series to finish! !